Welcome to the John H. Chipman, Jr., Post #89, G.A.R. Hall web site! The purpose of this site is to provide historical information relating to Massachusetts G.A.R. 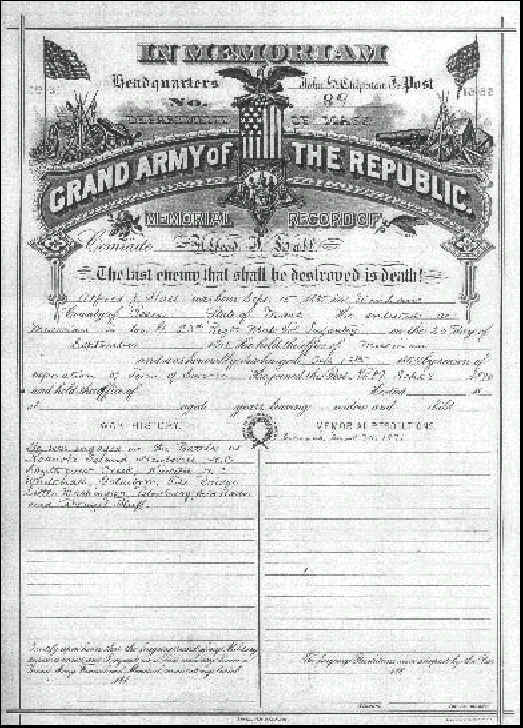 Post #89, and to the hundreds of men who lived in the greater Beverly, Massachusetts area, served during the American Civil War, and became members of this G.A.R. Post. My Great Grandfather, Alfred J. Hall, [Co. G. 23rd Reg. M.V.I. ], and his brothers Benjamin O. Hall, [Co. A. 19th Reg. M.V.I.] and Levi W. Hall, [2nd Co. Mass. Unattached Inf.] were members of this post. My Grandfather, Edward L. Hall, was a "charter member" of the John Low Camp #6, Sons of [Union] Veterans, and a Past Captain of that Camp. The John Low Camp #6 was organized on 19 June 1882. A brief history of Massachusetts Post #89 G.A.R. 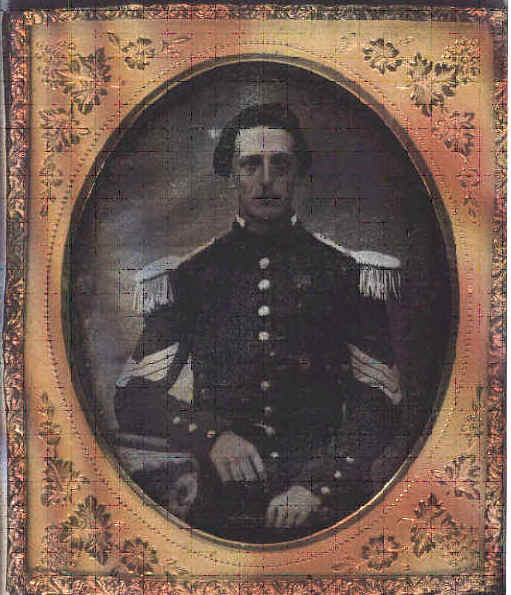 A short biography of John Hale Chipman, Jr., the man the post was named after. A roster of the members of Post #89 from it's beginning to it's close, including their names, date & place of birth, rank, the units they served in, and in some cases, photos, and other information. During the more than 60 years the post was open, more than 500 members past through. A list of research material and other services available at The Beverly [Massachusetts] Historical Society & Museum, relating to the Civil War, the G.A.R. and local history, maps, documents, photos, and books. A photo of Beverly, Massachusetts Soldiers and Sailors Civil War Monument, and other photos from our collections. [Note: The G.A.R. Hall located at 8 Dane Street, Beverly, MA, is currently owned by the City of Beverly, MA, and it now is the home of Beverly's Veteran Services Office. Most of the "old G.A.R. records" and other artifacts not lost to time and decay, were given to the Beverly Historical Society & Museum many years ago. This site is NOT CONNECTED with the City of Beverly, or the Office of Veterans Services but is rather designed by Stephen P. Hall, webmaster, using various items from the G.A.R. Collection of, and in co-operation with, The Beverly Historical Society & Museum, 117 Cabot Street, Beverly, MA 01915, �ALL RIGHTS RESERVED. It is hoped that this data will make people aware of the many historical items contained in the various collections of the historical society, and also will help to create for the society an additional presence on the World Wide Web. This page was last updated on 07/23/03.